Among the 62 different tribal communities live in Orissa, we try to description here some the most colorful groups and their festival, who maintain and preserve their culture and tradition still today. 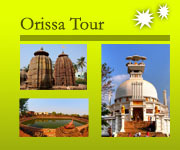 Explore and experience the real charm of colorful culture and tradition of tribal life with our tours in Odisha ( Orissa). 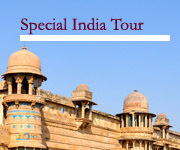 Comes in a special interest tour package at an affordable price. 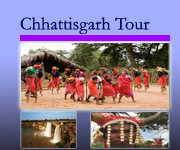 This itinerary has specially designed for special interest guest like anthropology scholars’, photographer, to normal guest , which includes most colorful tribes such as Kutia Kondha, Kondha, Desia tribe, Dunguria Tribe Kuvi Kondha, Gadhava, Mali, Paraja Rana , Lanjia Saura at their village and market and most colorful Bonda Tribe at their market. Two tent (camping ) in Kutia and Desia Village. Colorful weekly markets , beautiful landscape, waterfall and many more. Though each and every tribal communities have fixed the days of their weekly market, that’s why we mentioned here the days. Most of the tribes are animist (worship and belief to nature), their life style is simple and pure, to encourage their culture, we are the only travel agency who organize tent tour (camping during overnight stay) , dance and song at their village If possible try to buy their handicraft and product directly to respect their culture and encourage the responsible tour. Day8-(sat)- Gopalpur- on –sea- Bhubaneswar (departure). Note 1:- elaborate the real tribal life to accommodate in different tribal village( in basic tent- camping) for special interest guest and also encourage the responsible tourism to organize the tribal dance program at their villages ( its purely safety even for woman traveler also). 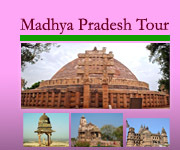 2:- This itinerary has special designed for weekend to weekend . If you want to extend the program it can be possible, for more detail , description of itinerary and price please feel free to contact with us. In the remote mountainous wilderness of the Eastern Ghats region of South Orissa lives a fascinating Kuvi-speaking tribe called, the Dongria Kandha. They inhabit the lofty Niyamgiri hillranges in the district of Rayagada. They stand apart from others for their famous Meria festival, expertise in horticulture and colourful dress, adornments and life style. For being the denizens of hills, forests and highlands (dongar), their neighbours name them Dongria. Dongria men and women are quite fashionable in their personal adornments, that makes them attractive and distinguish them from others. Dongria men put on a long and narrow piece of loin cloth and women use two pieces of cloth, each 3-4 ft. In length. Both men and women grow long hair. A wooden comb (kokuya) is fixed at the hair knot of men and women which adorns the hair-lock and keeps the hair tight. A tiny knife (pipli) with colourful thread balls at its metal handle, adorns the hair lock of women. Men and women put on aluminum neck rings, beads & coin necklaces (kekodika), finger rings. In addition to that women wear bangles, anklets, toe rings. Both men and women wear earrings and nose-rings. The Kutia Kandha is a section of the Kandha tribe found in Kandhmal and Kalahandi dist. (south central part) of Orissa. The tribesmen are known for their buffalo sacrifice ritual locally known as “Kedu” to worship their Earth Goddess- “Darni Penu”. They belong to the Proto-Australoid racial stock and shspeak a dialect their own called “Kui”, which belong to Dravidian language family. They worship large number of deities and spirits; the chief among them is Darni Penu, the Earth Goddess worship by the village headman called Majhi & the village priest is called Jani. Culture of the Gadaba, one of the prominent tribal communities of Orissa. The name; Gadaba has been derived from the word “Gada”, name of a brook in the Godavari valley. The tribe has Proto-Australoid origin. The Gadaba speak Mundari language, called Gutob belonging to Austro-Asiatic language family. The Gadaba men use a piece of cloth, called lenguthi with a flap, which hangs down in front. Women wear two pieces of cloths, each measuring about 5ft. By 2 ft. Called Keranga. The Gadaba girls/ women decorate their bodies with ornaments such as peculiar type of earrings, which are made out of brass or aluminium which hangs down from a hole in the ear that reaches the shoulder. Besides, they use ornaments, like rings (mudi) bangles made of brass. Their hair is neatly combed and fixed at the back by hairpins.